This is a throw only. You can also add the bed to your order. 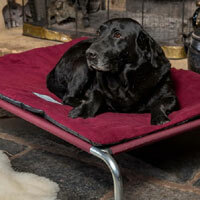 This luxury sheepskin topper is perfect for making your dog's bed or mattress extra cosy. Wool naturally traps warm air within its fibres and has excellent moisture wicking properties making sheepskin fleeces an excellent bedding surface for your dog. 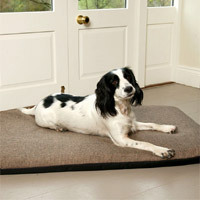 Top quality 100% British sheepskin, trimmed and finished by hand. 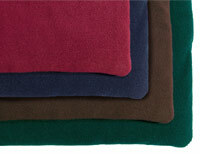 These fleeces are not dyed and vary slightly in colour from off-white to golden cream. Highest grade, sourced from the Yorkshire Dales. They are much thicker, denser and softer than most of the inferior quality imported fleeces available on the high street.